The snow has my household pretty anxious to get out cross country skiing. I know what you’re thinking; “Cross country skiing? Here in Kingston? 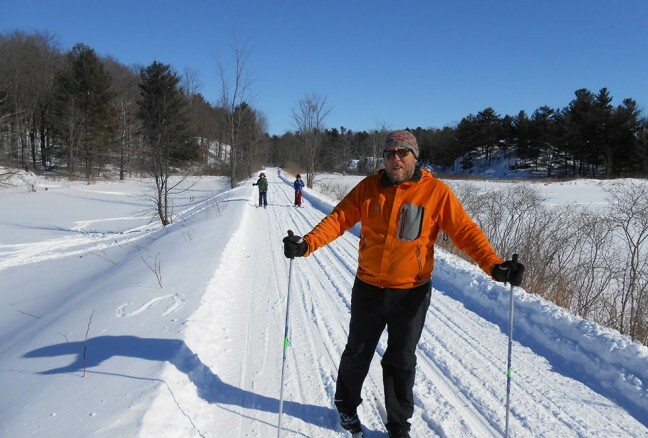 !” While Kingston may not a cross country skiing destination, we do have a number of great spots to ski; you just need to know where to look. And I’m willing to share some of our favourite spots….but just a few! I started to cross country ski as a child. 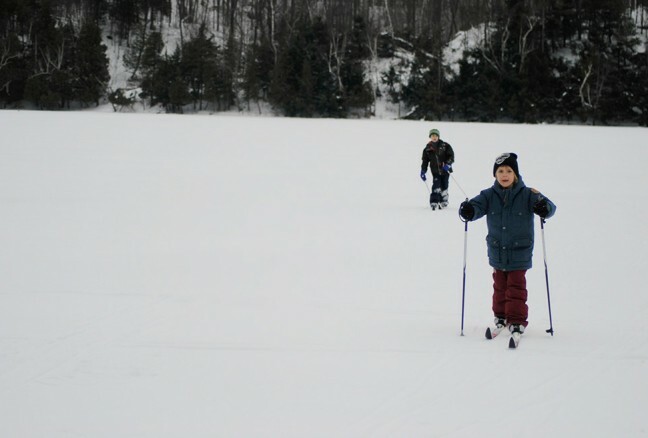 Growing up in Toronto, we would often head north to Algonquin Park to spend the weekend back country skiing. When I “grew up”, moved to Kingston and bought some property north of town, my husband and I would spend our winters exploring the lakes we paddled in summer on skis. And then we had kids. With our first son, we made our own ski pulk, out of an old sled and a bassinet, with which we pulled our son around on our explorations. 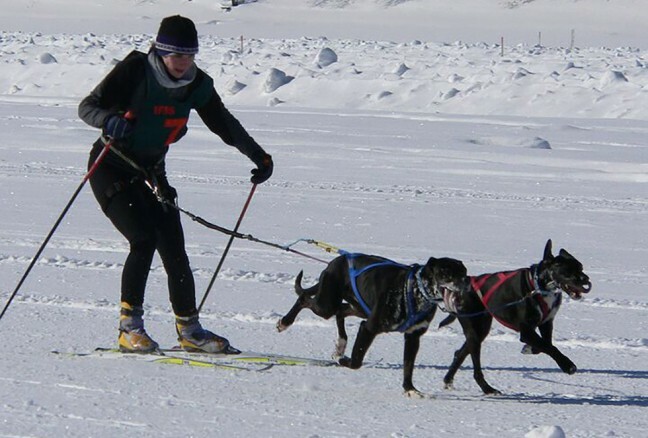 We even made a harness for our dog so we could try out skijoring; a term derived from the Norwegian word skikjøring meaning ski driving. Jake wore a harness, we wore a harness, and the two of us were connected by a rope. It was win-win. He got to run, and we harnessed his energy for speed! 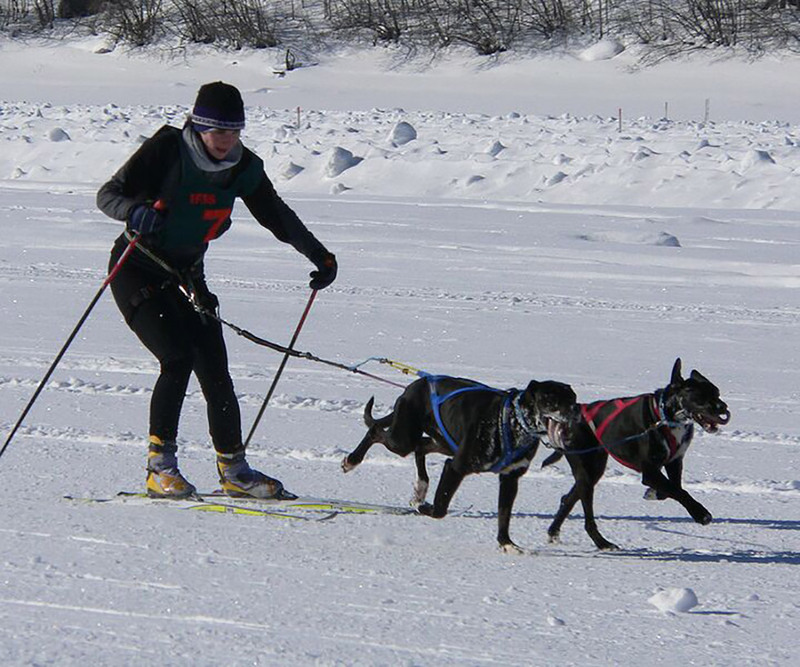 As our sons have grown, they also developed a love for cross country skiing. Last year, they outgrew the course we set around our back yard, so we had to venture out in search of places to ski in our neighbourhood. Skiing on backcountry lakes is fine, but not always the safest, and with deeper snow, or driving winds, not always a positive experience. A great day out breaking trail on a backcountry lake north of Kingston. One of our favourite (and close to home) spots is on the Cataraqui Trail. The 103 km trail follows a section of abandoned CN Railway running from Strathcona near Napanee to Smiths Falls. There are 4 access points within a 30 minute drive of downtown Kingston. For us, this trail is great, as it is free, close to home (we live 2 km from 2 different access points) and very easy for our kids (or any other beginner) as it is very flat, and with the snowmobile use permitted, the snow is always packed, so we’re not slogging through deep snow. 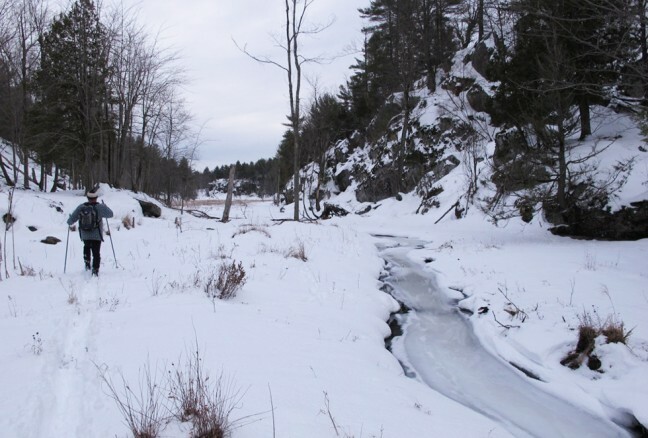 We can actually skate ski to some degree on the Catarqui trail. The downside to snowmobile use is often having to pull over when we hear them coming, and if there is not a lot of snow, they tend to expose the gravel which can scratch up your skis. Shawn & the boys on the Cataraqui Trail. It looks groomed, but those are my tracks! 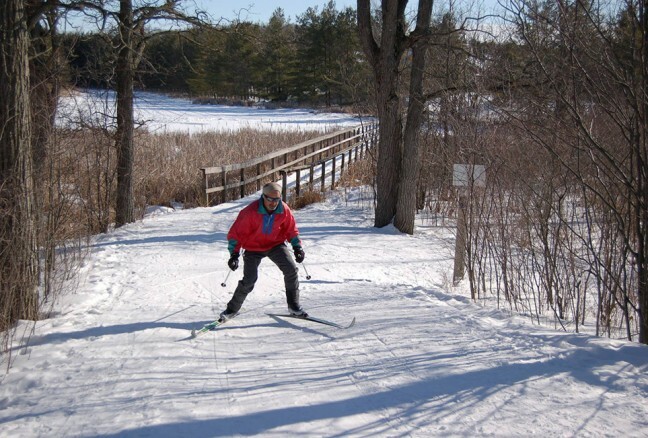 Little Cataraqui Creek Conservation area is another great destianation for cross country skiing. Just a few minutes north of the 401 on Divison Street, this conservation area is very popular for all winter sports. 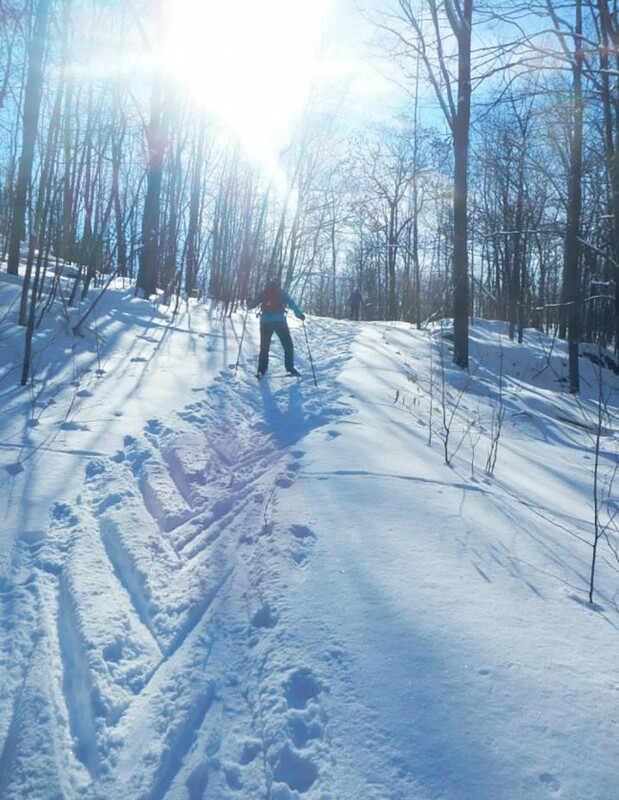 It is the only spot in Kingston boasting “groomed trails”; where a track is set into the snow that will fit your ski. 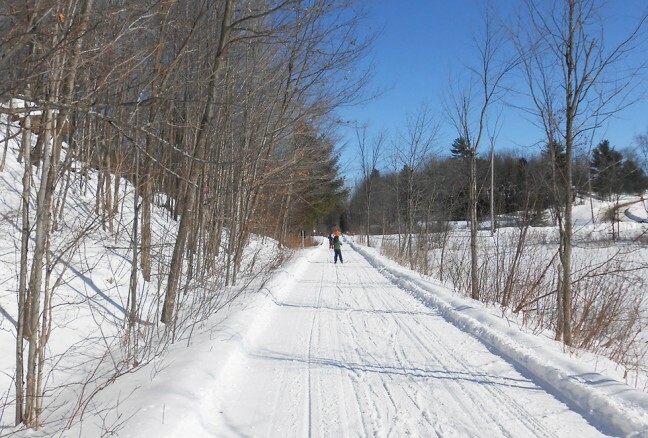 Skiing on a groomed trail is very efficient, and can be argued that it is better to ski on and easier to learn on groomed trails. 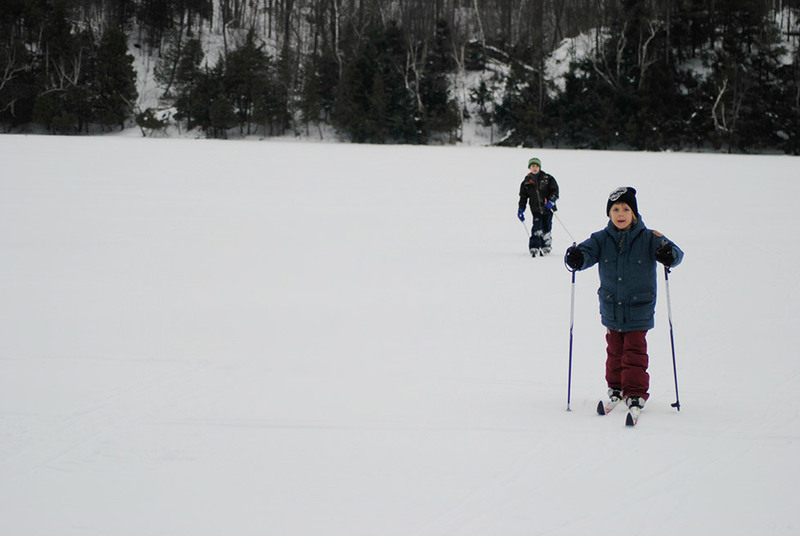 There is a small day use fee (season passes are also available) to ski at the conservation area, and they also offer rentals and lessons. Frontenac Provincial Park is a 45 minute drive north of the city. 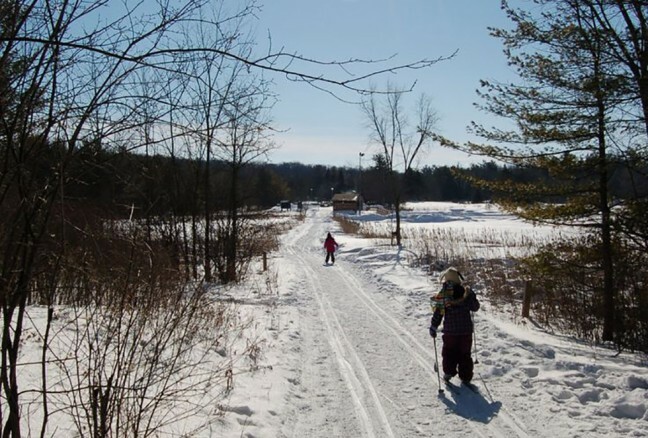 You can ski on any of their trails that you may have enjoyed hiking during the rest of the year. However, many of their trails would be challenging for any backcountry skier, so they have marked about 10km of trails for skiing, including Big Salmon Lake road which is closed to vehicles for the winter. Instead, skiers can enjoy this 3.5 km section of road that is often quasi-groomed by park staff. If you decide to venture out and try skiing this winter in the Kingston area, and do not own your own skis, there are a few places you can rent. Two stores right downtown, Sepp’s & Trailhead offer daily rentals, and Trailhead also sell skis. 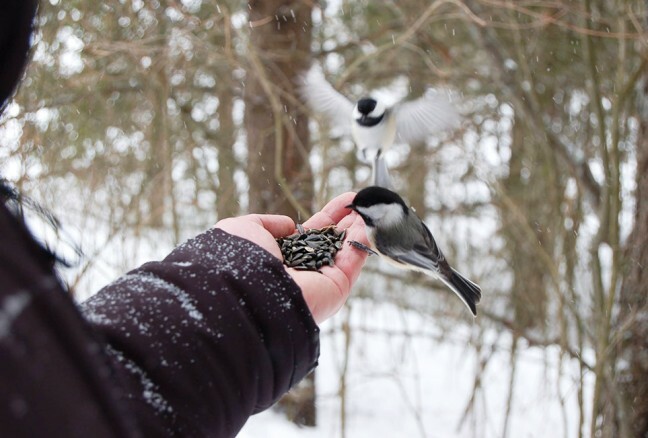 Little Cataraqui Creek Conservation area offers hourly rental rates; but the equipment must remain on the property. These are just a few spots that my family and I enjoy laying tracks too. 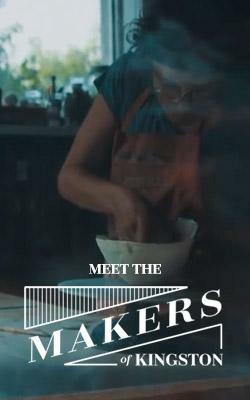 If you live here, next time you decide to head out for a ski, before jumping in your car for the drive to Ottawa, check out our “secret” spots closer to home! 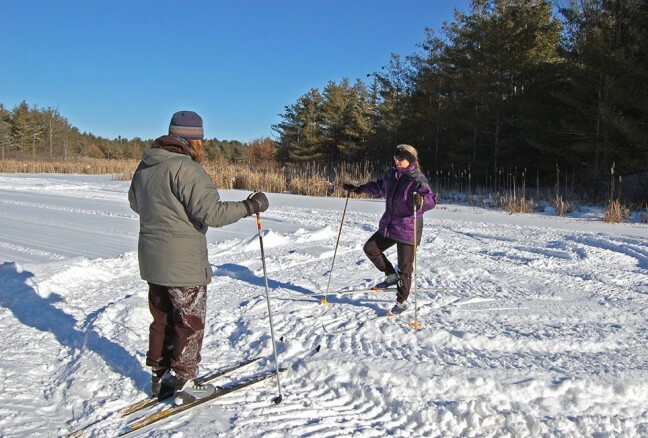 And if you’re coming to Kingston for a winter vacation, make sure you include some cross country skiing into your plans!